OK, it’s been a long time since I Ranted. But This really ticks me off. 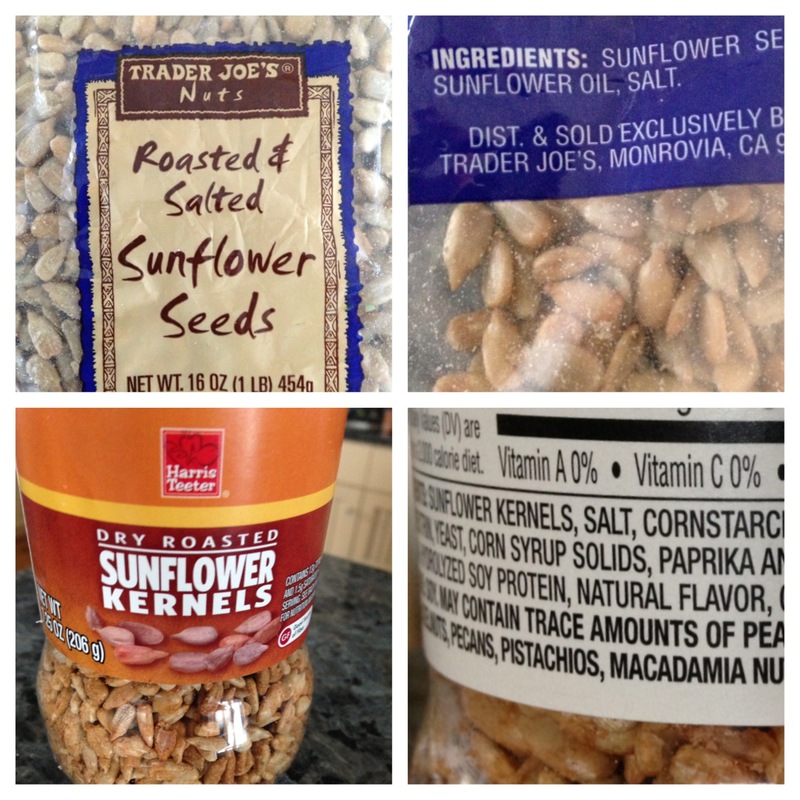 When companies sell a “food”, for example sunflower seeds, the consumer should expect that they are in fact buying…..SUNFLOWER SEEDS. Not some chemicalized version of a sunflower seed. Just like if you buy Mayonnaise, it shouldn’t have EDTA in it, same with Triscuits, or anything else out there. I used to pick an item up and look at its fat content. If it was high I was supposed to avoid it. Then I was taught to look at the carbohydrate count. If there were too many carbs or sugars, I was taught it would make me fat. I now know, what really matters, in fact the ONLY thing that matters when you buy a food, is that you look at THE INGREDIENT LIST! It’s what’s IN the food that matters! Additives, fillers, preservatives, flavor enhancers are added to almost everything! And they are known to cause obesity, diabetes, behavioral problems, and cancer. So what are our stores filled with them? Are these added ingredients necessary? The above example isn’t even near the worst. There are sauces with known carcinogens and crackers with cancer causing agents sprayed in the bag to keep them “fresh”. How Fresh is Cancer!?! So please people, LOOK AT THE INGREDIENTS! Know what you are eating! If you don’t recognize it, can’t pronounce it, or it has numbers or all caps letters in the ingredient list (BHT, EDTA, Yellow 5, etc) Don’t Eat it! Pledge to yourself, your health and your family’s health, to EAT ONLY REAL FOOD! Me, too. I agree. Every word. Every frustration. Shared. Have you seen Fed Up yet? It follows 3 kids so they may be intrigued, lots of political stuff too, but hey… I think there are MUCH worse/uninteresting things for them to watch, right!? Good rant! And I am so with you!!! We need to get back to basics with real food first and foremost, and then I think a lot of the other food-related problems will start to fade away. I wish Fed Up would come to Sweden!